Amura in Puerto Calero is a fabulous venue for your Lanzarote dream wedding or vow renewal. Your ceremony there, followed by an amazing meal. The Lanzarote aquarium in Costa Teguise is one of the largest in The Canary Islands and features an amazing shark tunnnel. The Music Hall Tavern has been one of Lanzarote’s top shows for two decades. We have all-in tickets, which include a meal. St Patrick’s Day will be celebrated on Sunday 17th March 2019 in Puerto del Carmen, Lanzarote with a parade, live music and more. Norman went to see a one man Rat pack performance and enjoy an excellent meal out in Puerto del Carmen. Casa Albéniz is a fabulous rural property that's a very short drive from the busy resort of Puerto del Carmen, complete with private swimming pool. Jet2holidays Summer 2020 Now On Sale! 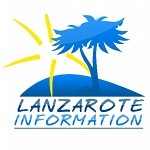 Lanzarote Information is part of Camel Media Group. Established in 2008. All content copyrighted.